Prof. Li: I was born in a small peaceful town in Northern Jiangsu, Mainland China, in the 1970s. It was a few years before the end of the Cultural Revolution, but perhaps the isolation of the small town from the outside world has also shut out a messy world for me. As a kid, I remember being forced to practice calligraphy and memorize Tang poems. But I enjoyed more going with my older brother looking for bird nests under the rooftop of a big auditorium at a nearby Party School. Many years later in a middle school in Nanjing when I started to learn English, I did start to develop a flair for learning texts by heart. Fine combing of grammar points, pattern-drills, and learning texts by heart finally led to my good performance in English in the entrance examinations for higher learning institutions. So I landed at an English Department. Embarking on a scholarly path of working with language came naturally to me as I have grown up witnessing my father, a professor of Chinese linguistics, engaging in scholarly work that never seems to end! Many people have told me that an academic career suits me well – I don’t know what makes them say so – is it perhaps because they saw that I’m socially clumsy and look like an ivory tower person? I have always seen myself more as a “student” than an educator. Or I must have combined the two roles. My best example of illustration is this: eight years ago I was teaching English to a big group of doctoral science students at Nanjing University. Although English publications were a graduation requirement for many science disciplines at the university, I saw these students having much difficulty writing academic papers in English. I decided to help them one day. Believing that doing research in this area would be a necessary preparation toward the goal, I came to Hong Kong to become a PhD student working on the research topic of Chinese doctoral science students writing for international publication. Ana Wu: You have been awarded the 2008 TESOL Award for Distinguished Research for your TQ article “Apprentice Scholarly Writing in a Community of Practice: An Intraview of an NNES Graduate Student Writing a Research Article.” As an expert in second language writing, what are the positive attributes NNES writers have? Prof. Li: I’m most lucky and honored to be the recipient of this award. I believe the award was a recognition of a series of articles that I have published (some jointly with Prof. John Flowerdew) in a number of applied linguistics journals. But I definitely cannot claim to be an “expert” in second language writing (in the sense of either the practice itself or the research in this regard). To me the biggest asset of an NNES writer like myself is our ability to function in two (or several) languages and to cross borders in our perspectives. My English may need editing before publication, but scholarship is not just all about writing itself. The process of conducting research, where we need, more often than not, to interact with our compatriots and consult documents/literature published in our native language(s), constitutes the foundation of our writing. I also find excitement in our role of being potential “bridges” between the local context and the international scene. We can help to shift the academia in the periphery, facilitate mutual understanding between the periphery and the center, and work toward more balanced knowledge making across the globe in our profession. Ana Wu: What advice would you give to NNES graduate students or novice teachers who are interested in submitting research paper for publications? Prof. Li: Looking back, in the past three years or so I have had quite several experiences of submitting research papers for publication. Now instead of regarding the publication process as a mysterious black box, I anticipate possible hiccups and am ready to meet the challenge of revising papers many times to get them published. The readiness I have developed for the process has a lot to do with my confidence in the peer reviewers in our discipline. I am fortunate to have almost always received detailed feedback from reviewers, who struck me as making sincere efforts to be unbiased and helpful. In return, when I have the opportunity to be a reviewer of a manuscript, I provide my comments in a likewise conscientious manner. I advocate and have benefited immensely from peer support. All my articles in international journals have undergone major revision even to the extent of rewriting the whole piece before publication. Revising my manuscripts over and over again according to the suggestions from my mentors and the referees – while myself gaining new understanding and conception of the subject matter in the process – has been the most important learning experience of mine in terms of academic publications. I also came to learn that it is crucially important not to give up on a project that we trust is worthwhile. There must be some way out of a difficult situation if we try different solutions and push ahead with persistence. 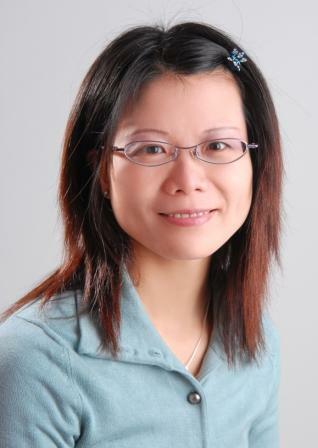 Ana Wu: One of your areas of research is English for international academic communication. What do you think of the NS-NNS dichotomy? Prof. Li: I think we have to admit that in terms of using English for international academic communication, the challenges faced by a scholar who is locally trained in an EFL context, such as China, is all too obvious. In the past few months I have talked extensively to humanities and social sciences (HSS) scholars trained in Mainland China. Those who have indeed published in international journals are of two categories: returned scholars from overseas, and people in the English department. Other than these people, I have not come across a single domestically trained person, young or older academic, who is able to write for scholarly publication in English, even though a few avant-garde young academics seem to strongly aspire to the goal and hope to have a breakthrough in the near future (e.g., by collaborating with someone more competent in English). Overall, we may say the official push (e.g., in the form of bonus payment schemes set for international publication) has ignored the reality – the reality is the general Chinese academics in HSS are simply not able to do academic writing in English by themselves. Given their better English, those in TESOL or English applied linguistics are more likely than those in other HSS disciplines to publish in English. Indeed in China, we are seeing a sign of this group’s international publications growing. However, for the future years I tend to believe that much of the contribution will come from the returnees, as shall be the case in other HSS disciplines. A core issue that is more far-reaching than the language barrier may be the separate research paradigms found between a periphery context and the center. The local research paradigm has both resulted from tradition and been shaped by the current local concerns. I would join many others in our field and propose that research published in local languages should be respected and made accessible to the outside. On the other hand, where a periphery scholar wants to get published in an international journal, accommodation to the conventions and paradigms in the international academia as well as to the guidelines of the journal is necessary. Difference in the rules of the game should be allowed to exist in different communities, in addition to the efforts that are made to bridge the sites. Ana Wu: As an NNES professional in Hong Kong, what have been your most vivid memories (positive or negative) in your academic and professional practices? Prof. Li: I hesitate to call myself an NNES professional in Hong Kong, as so far I have been shuttling between Hong Kong and Mainland China for research and family. My vivid memories do not concern enjoying Hong Kong as a multicultural metropolis, for the farthest place I have been to in Hong Kong is Prof. George Braine’s home in the beautiful countryside (see his monthly interview at this site) which is about an hour away from the city. Ana Wu: Thank you for this interview! Congratulations on your 2008 TESOL Award for Distinguished Research! This entry was posted in Uncategorized on March 26, 2008 by AWu.